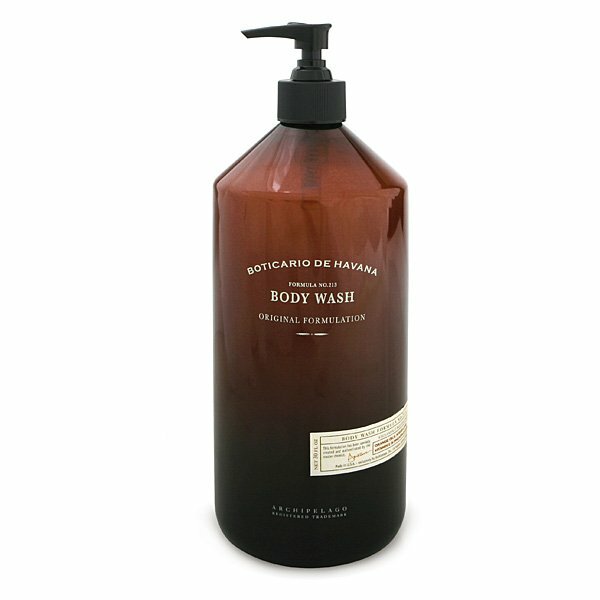 Archipelago Boticario de Havana Body Wash is a highly foaming body wash to gently cleanse the skin. The moisturizing formula contains sugar cane, pineapple, orange oil and coffee. Pineapple extract removes damaged cells and promotes skin elasticity. Best used with a scrubbing puff in shower or bath. Archipelago's #1 scent! In the 1940's, the world flocked to Havana; they came for the nightlife, but left with the secrets of the "boticarias" - the small apothecaries that dotted the side streets and specialized in natural skin care remedies made from local plant materials. Apothecary style packaging and pump for easy dispensing. Enjoy the daily rituals of the Boticario-recreated exclusively by Archipelago.